These beautiful trees really say spring! 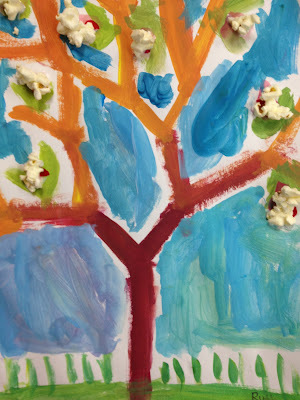 This project teaches a basic tech­nique for painting trees. Adding pop­corn also provides the oppor­tu­nity to talk about the con­cept of mixed media.